Every Friday I will review a product, and in some cases two similar products, that relate to pregnancy or parenthood. This first review will be on a category of product I have a lot of experience with, silicone wedding bands. As is the case with many women, pregnancy has swelled up my fingers, and wanting to continue to wear bands without having to worry about it being cut off, I tried many different bands. 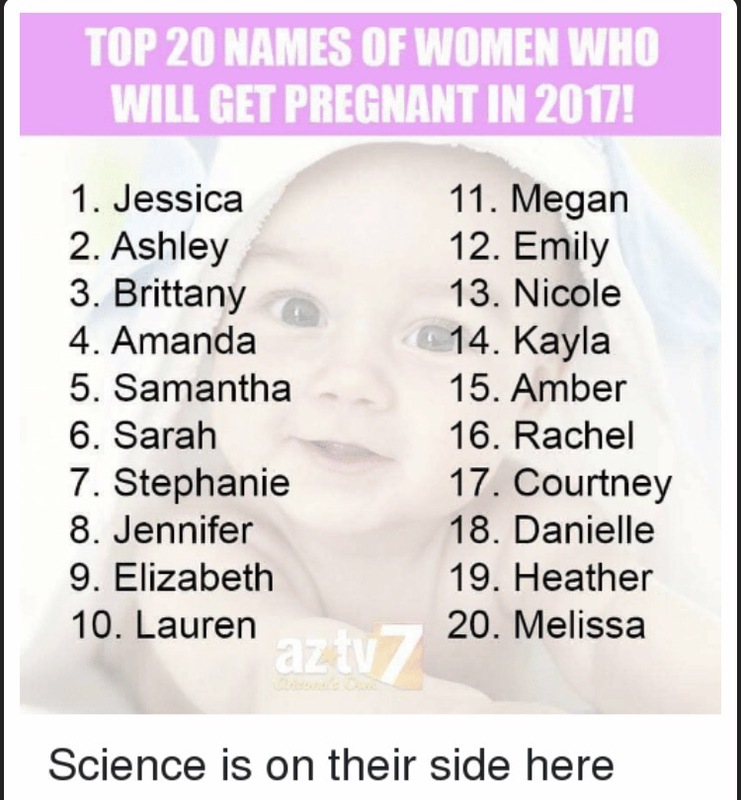 A few days ago Debbie, a friend whom I’ve known since early childhood, and with whom I’ve shared our good news, sent me a meme that showed my name as one of the top 20 to get pregnant in 2017, and upon research there was a scientific and statistical study behind the choices. It has often happened to me since childhood that people have underestimated my age. I have people tell me they think I was younger by a lot, sometimes even by a decade or so. I also have heard often that I have a young sounding voice, to the point where a telemarketer just a few weeks ago asked me if they could speak to my parents instead. 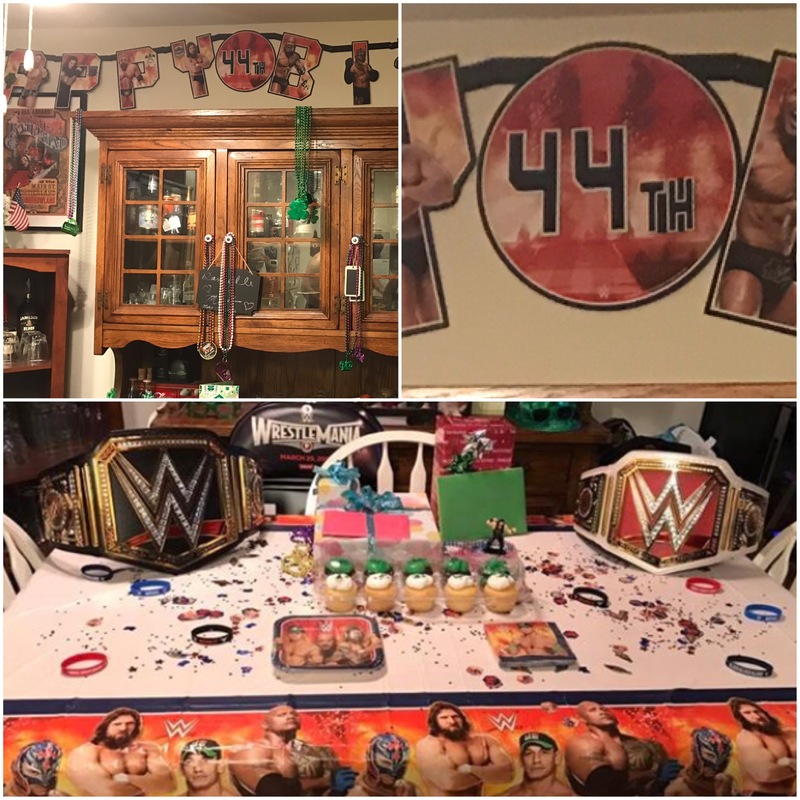 So it was especially funny when Matt put my age on the decorations for my event birthday, which I don’t remember him doing before. 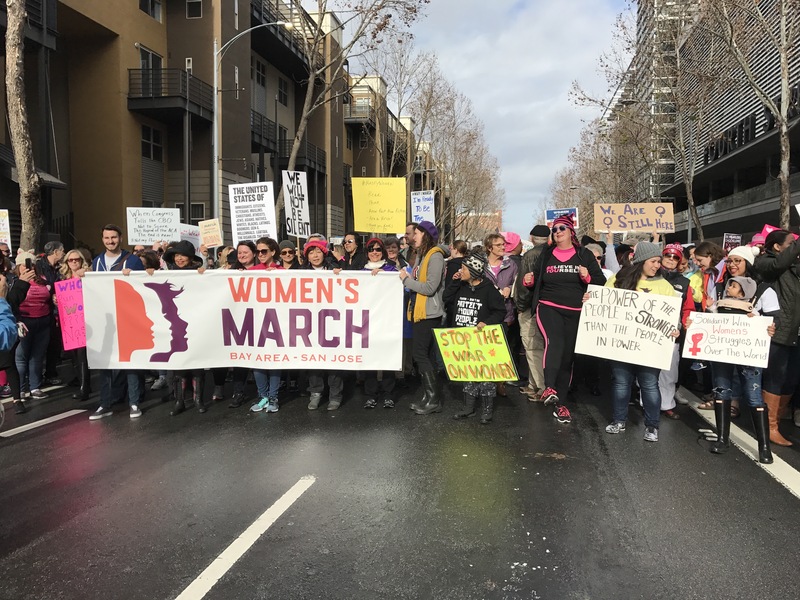 Ever since January of 2017, I’ve been a proud member of what some people refer to as The Resistance, a group dedicated to protesting the current Presidential Administration. 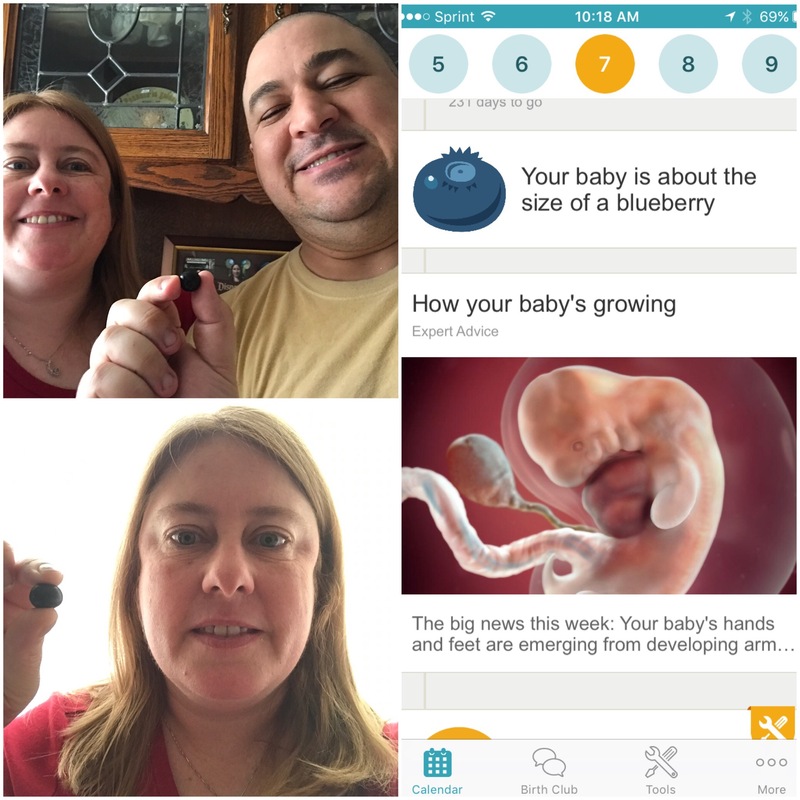 This weekend Matt and I took our first photos with the food that represented the size of our growing embryo (as chosen by the wonderful Baybcenter app). Candy, my MIL, who always thoughtfully has lots of food for her guests, had breakfast selected with great healthy items especially for me, including assorted bagels, cream cheese and a fruit assortment. Upon noticing the blueberries, one of my favorite fruit, I had as inspired to create this first one. An introduction of myself and my pregnancy. A little over two years ago, having just turned 42, I had my annual GYN doctor’s appointment. 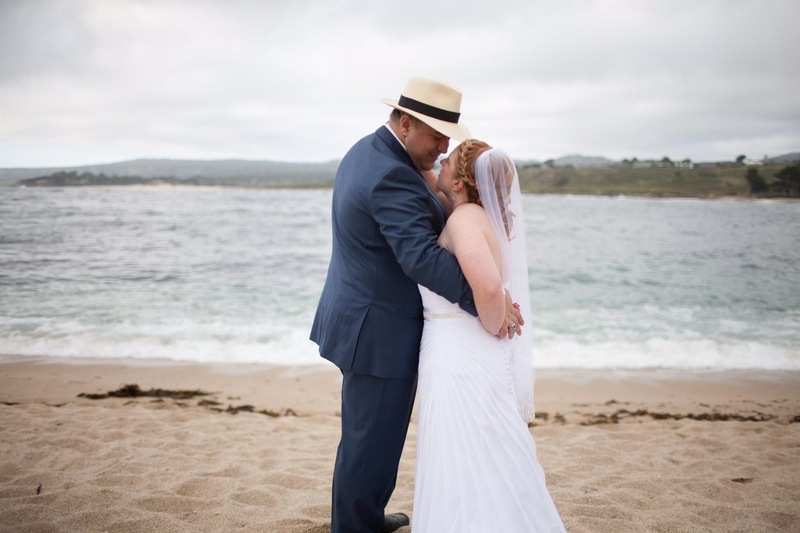 The doctor told me that my chances of conceiving, due solely to age, would be about 5% at age 43, the age at which I was marrying the love of my life, Matt. Author Over40FirstTimeMom.comPosted on March 26, 2017 March 28, 2017 Categories My Pregnancy Facts1 Comment on Our adventure so far!